Touring Israel and Jerusalem? How about Israel fun activities? 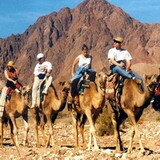 Here is Israel outdoors: Canyon swimming, archaeology, kayaks, cliff rappelling, ATV’s, camels & more! Horseback or mule riding in Israel is a wonderful way of getting off the beaten track and discovering the varied landscape of the country: From the mountains of Galilee in the north, to the hills of Judea around Jerusalem, this is a great family activity for all ages. 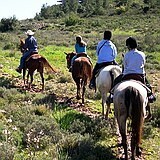 No prior horseback riding experience is necessary to enjoy the outback adventure and trail experience. The Jordan River is Israel’s main river and extends from the Lebanon border in the north to the Dead Sea in the south. The upper sections are particularly suitable for kayaking. There is also a white water option, but only for the very experienced. Israel is a lot more mountainous than most people imagine, with high cliffs along the Rift Valley that run the whole length of the country. Rappelling is a rope activity easily learned on the spot. 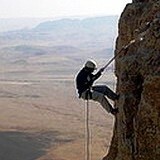 Three different landscapes to rappel are the Menara cliffs in the north, the Dead Sea rift valley, and the Ramon Crater situated between Beersheba and Eilat in the south of the country. Dig and discover the past at an authentic “tel” or archaeological mound. Here’s the opportunity for all ages- kids, students, and parents – to spend a few hours sifting, analyzing finds, and learning more about our rich biblical heritage. If you don’t mind the bumps of a dirt track or maneuvering between boulders, break up the touring day with a jeep ride to springs and gorges in Galilee and on the Golan Heights, or jeep safari into the mountainous Negev desert wilderness to see beautiful nature and rock formations. Great stops are Sachne & Hammat Gader: Hot Springs, outdoor spa, Roman bath ruins, crocodile park, trampolines, swimming pool, and water slides. 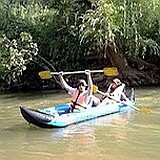 Want to know more about Israel outdoors or to include some Israel fun stuff in your Israel tour program and itinerary? 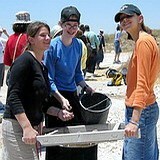 Please contact Zack Shavin, veteran guide & biblical archaeologist at Land of Israel Tours.